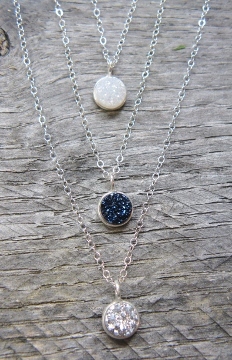 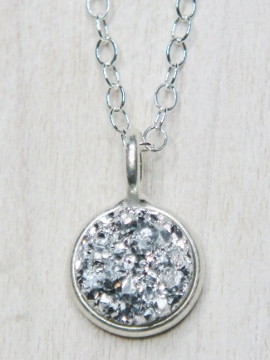 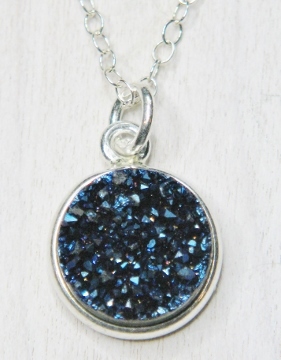 Perfect layering necklace! 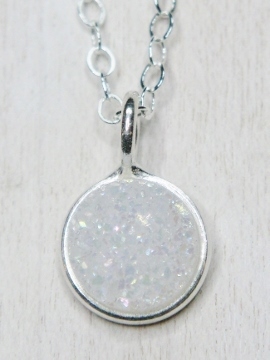 These 8mm petite shimmering round shape bezel druzy in rainbow white are made with .925 sterling silver and are big in style. 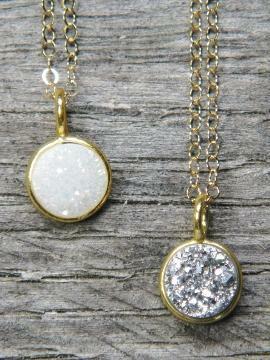 Comes in 18" 14k gold-filled cable chain with spring clasp.